I haven't had too much time in the workshop since I came back from the desert......there has been such a lot of gardening to do & the weather has been reasonable, so my time has been spent in my veg garden, general grass & hedge cutting & tidying up after such a long, long winter! 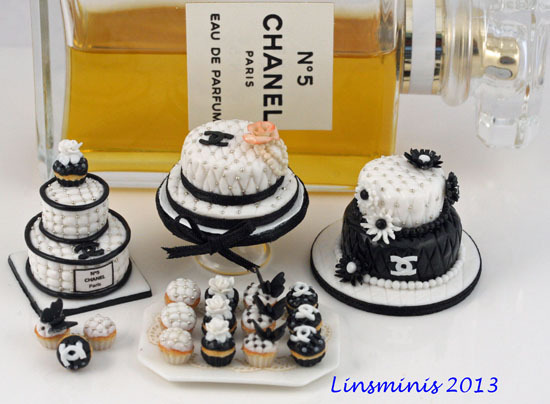 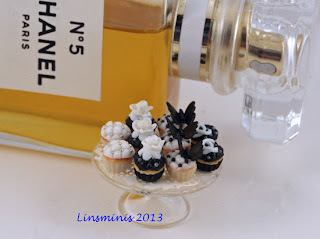 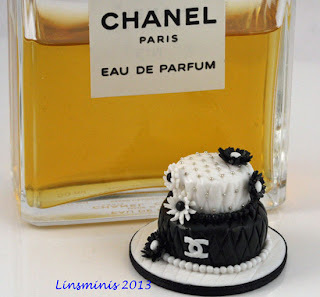 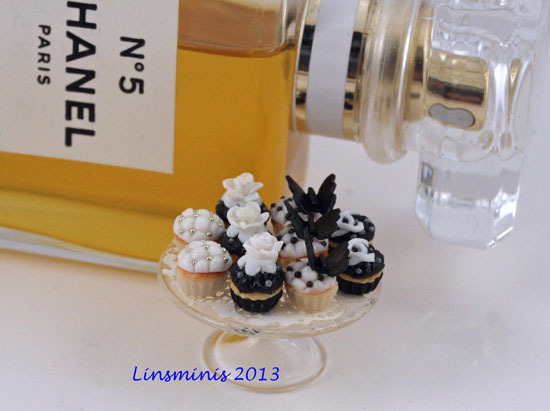 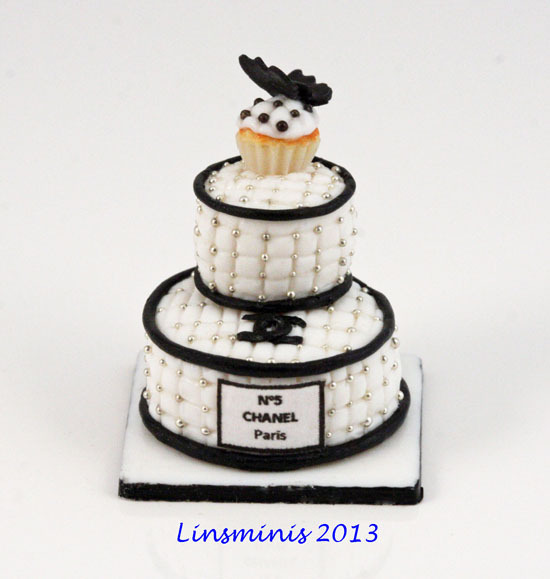 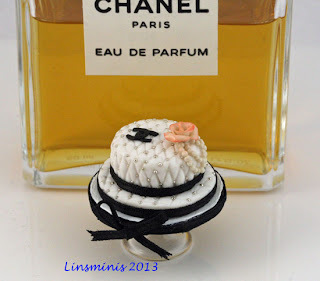 When I have been working on my minis at night, I've had a fixation with Chanel cakes...for some reason, I just kept wanting to make them & when I feel like making a certain piece, I have no option but to "go with the flow"! 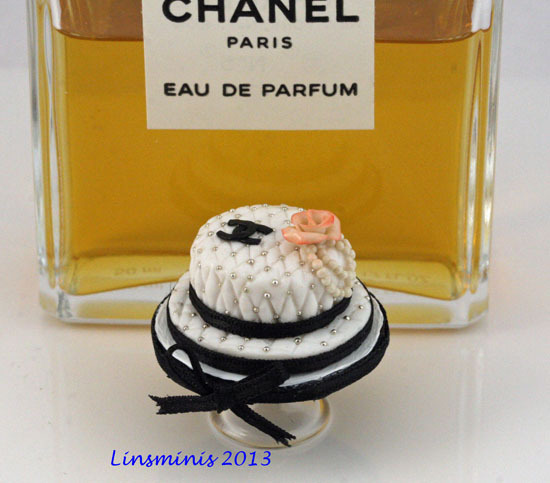 So here is the result of several nights in the workshop & my simple homage to Chanel!